InWe are going to represent some android apps that let you know about all earthquake alerts in your android smartphone. Go through the full article to discover the functions of each and every listed apps. 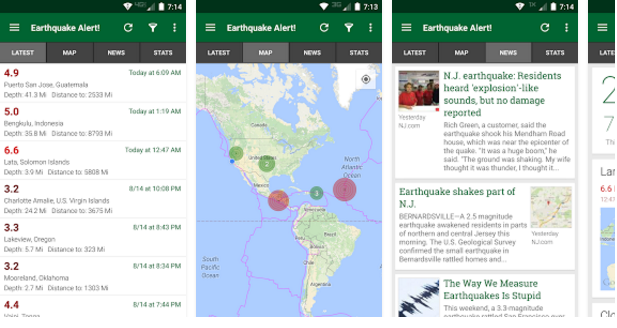 Today we are hereabouts with a purpose for How To Get Earthquake Alerts On Android Phone. Today we all comprehend the Nepal earthquake Melodrama that happens recently. This representation of natural disasters can produce a prominent loss of money and life. So it is beneficial to get warnings of these type of disasters and that’s too with the improvement of technology, there are several tremendous notifying companies that can tell you the about upcoming disasters by investigating the weather reports. 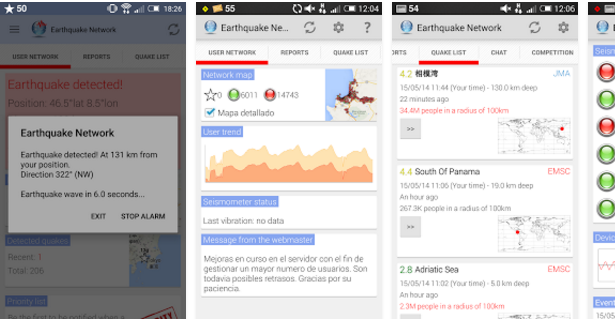 So in this post, i will tell you a method to get alerts of Earthquake on your android. Just follow the below post to proceed. Today there are so many apps that are available in Google Play Store that can give you the alert of an earthquake. Just check out the below apps to get alerted. Below I have selected some of the best earthquake alert app that can give you the best result of your search. This is one of the Best Earthquake Alert Android App. This app is very low in size, So it will not take much memory space on your android smartphone and also there is added banner in this app. This app displays all the latest earthquake at the left of the section. In this app, the powerful earthquakes are marked as red and all small earthquakes are marked as green. Download the Alert App to be more informed! Earthquake Alerts Tracker allows you to track when an earthquake occurs around the world. With a Holo interface, you can have the latest earthquakes, have notifications when they happen based on the time frequency you chose. And it is the very popular app and one of the Best Android Earthquake alert app. Must try this app. This app is based on an research project that aims at developing a early warning system in an smartphone. This app let’s you receive the real time notifications of earthquakes as well as manual report too from the worldwide. This is the must have app if you living on an area which gets frequent earthquakes. When an earthquake is detected, users with the application installed are immediately notified. Waves of the earthquake travel at a given speed (from 5 to 10 km/s), it is possible to notify the population not yet reached by the damaging waves of the earthquake. My Earthquake is an app the let you know all the powerful earthquake information. This app is updated on the daily basis with all the needed information and that’s too for free. This app comes with a Push notification which let you know all the earthquake news in your notification panel itself. Free push alerts customized for you, with no restrictions. 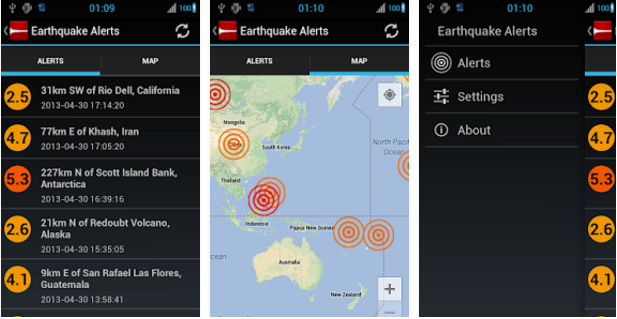 So above is all about How To Get Earthquake Alerts On Android Phone. 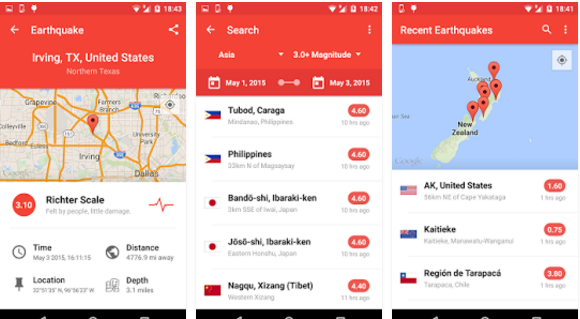 This app will let you get all the early earthquake alert on your android smartphone and also you can take right measure against it to protect the wealth and health. So download and install this app today. As we know prevention is better than cure. So must try this method and stay safe with your friends and family. Hope you like the post. don’t forget to share it with your friends.